An employee of a Bankia bank branch has confirmed to the Judge that he had no understanding of the financial product he was selling to a pensioner. What he did tell his client though was that Bankia would soon be topping the lists of the most important banks in Spain: as it happened, it went bust and was bailed out. Pernille Bering, pictured below, was responsible of signing off the largest ever Equity Release tax-evading product to a Spanish property owner (circa €3 mm) when she worked for Finansbanken. Unlike the Bankia simpleton above, we resist cynicism and continue to believe that she was just not a pretty face sent overseas to charge unencumbered homes owned by pensioners with huge mortgages, but a discernibly intelligent person with a conscience. But Pernille let everyone down: desperate to get ahead in her carreer but unwilling to get her hands dirty, she employed a locally based housewife, Maria Tremurici-Falter, to sell to unwarned Costa del Sol pensioners millions of Euros worth of Finansbanken Strategic Asset Allocation Revolving Credit Agreements to purchase investment grade bonds (with a rating not lower than BBB- By Standard & Poor), with a special taste for participations or constributions in non-leveraged hedge funds. – Maria would advertise on locals papers on a miraculous way to avoid the horrific consequences of Spanish IHT (thankfully, we now know that the correct word is evade). – María would explain to panic-stricken pensioners that, with her recipe, they would be alright. – Pernille would review potential customers’ income documentation (provided she could find any that is) and, the day before signing millions of Euros worth of fraudulent Strategic Asset Allocation at the Notary Office, she would fly down from Denmark for a quick afternoon sum-up meeting with the client at the NH Hotel, or Guadalpin, meetings that generally lasted 45 minutes. – Next morning, execution-day, the client would be led to the Notary Office to crystalize the fraud. It is believed that Finansbanken, later called SparLolland and later taken over by Jyske Bank, sold a total of 20 million worth of Equity Release in Spain. As a result of the decision taken by 3 Magistrates of the Malaga Appeal Court to reject an appeal lodged by Danske Bank International S.A., the lender has been ordered to pay costs. Danske Bank lawyers were insistent that their representatives were not summoned to Court. Both the Court of First of Instance and the Malaga Appeal Court thought otherwise. It will now be interesting to find out where did Danske Bank get the brilliant idea of offering mortgages on Spanish property to artificially reduce its value for tax purposes because KPMG says they did not. Can Klaus “Mønster” Pedersen please shed some light on this conundrum? The Malaga Appeal Court has rejected a motion filed by Danske Bank lawyers attempting to revoke a decision by the Court of First Instance in Fuengirola that had ordered, some months back, to summon the Danish lender’s managers in their capacity as representatives of the “civilly responsible” party. The importance of the decision lies with the position of the State Prosecutor Office for, whilst initially they had pressed for the whole Equity Release case to be dismissed (and so had the Fuengirola Judge), in respect to the above appeal their stance can be said to have taken a U-turn when they specifically opposed such appeal. The bank’s representatives will now have to respond to the questions of the lawyers acting for the Equity Release victim E.A. such as, for example, why did they use the name of K.P.M.G. to convince customers to sign up for the Danske Bank Luxembourg Unit Link/Capital Assurance product when the consultancy mega-firm had never given their blessing to this tax evasion product. ERVA would like to hire Mr. Shannon as their legal representative. He is a master of magic and can actually make you think that what you read is not really what you read, that what you understood is far from it (and of course, entirely the reader’s fault for being a twit) and that, on the whole, the advertising published by his bosses is fundamentally correct in what benefits them but, at Rothschild’s insistence, not to be relied upon on what it is detrimental. But leaving that aside, is there a reason why Mr. Shannon has not included a mention to the associated spectacular tax savings that Mr. Steve Dewsnip promises time and time again in his articles, and which happens to be fundamentally inaccurate, incorrect, false and illegal? The claim for Rothschild has been sent to the Procurator (last Friday) for formal lodging with the Malaga Mercantile Courts. Missing documents pertaining to claimants (Powers of Attorney or Mortgage Deeds) can be added in the next few days. On receipt of the stamped copy, we will be post the contents (except for personal data) on this website. For the first time, the National Audience has charged a branch manager criminally for mis-selling banking products. This is a very near miss for the Nordea Bank S.A. boys whose case was thrown out of Court by the same Judge, Fernando Andreu, because he considered that there was not enough evidence to consider that there was a pre-conceived plan, by Nordea Bank, to cheat customers. 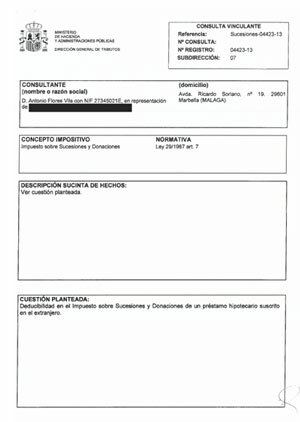 In this other case, the Bankia branch manager of a town in the Alicante area (Alberic) was reluctantly indicted by Fernando Andreu because his superiors in the same Tribunal ordered him to include, as part of a more extensive criminal investigation carried out against the CEOs of this bank, the end users who had been scammed into buying “preferential shares”. After this gentle kick in the backside, the Magistrate has just requested the bank to provide a copy of the informative prospectus and the promotional literature. Now that the Magistrate seems “convinced”, would he not want to see a copy of the promotional literature as offered by Nordea Bank Luxembourg S.A., from Luxembourg of course, that devises, encourages, promotes and sells tax evasion products specifically designed to cheat the Spanish Tax system (and which was reported), as well as its customers? If you cannot find originals and copies of your own brochures don’t worry, we have plenty. And we now say: Steve, yes they are, so much so that only in respect of the tax matter, where the amount defrauded exceeds €120,000 per annum, there are jail terms ready to be handed down (Alhaurin penitentiary opening its doors to trusting clients?). Not to mention of course other risks that the product had to offer, in spite of Rothschild’s ultra-cautious approach: legal risk, currency risk, investment risk and not the least, health risk. 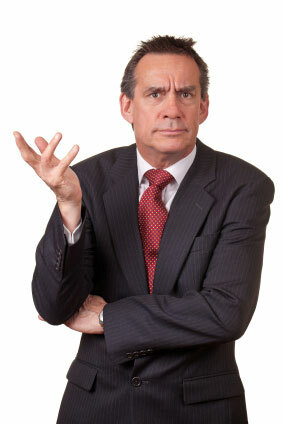 The scheme is not illegal per se, what is illegal is the sale of the scheme as a way to mitigate taxes and the pursuit of a tax benefit, as Barclays did, among other misrepresentations (such as it being a fantastic product for pensioners because it would provide an additional income stream to their retirement income etc.). The Tax Office has taken exception to the letter by Barclays and has specifically addressed the Inheritance Tax mitigation matter, rendering it openly as “Tax Fraud”. This means that Barclays is, prima facie, guilty of devising, promoting, endorsing and selling a product that is Tax Fraud. And if the above holds water -which it clearly does- by extension all other schemes promoted by many other banks are illegal. This email is a summary of the virtues of the Rothschild according to Stephen Dewsnip. The email, for obvious reasons, left out the “downsides” of this unconventional mortgage, a mortgage that according to him allowed the borrower to not be exposed to unnecessary risks.. Thank you for your enquiry regarding Rothschild’s Spanish mortgage service, CreditSelect Series 4, and I am now pleased to provide further information for you. CreditSelect Series 4 is neither complicated nor expensive, and has been designed to enable you to make the funds invested in your Spanish property work harder for you. It is not a conventional mortgage facility but rather a financial planning tool that creates liquidity for you by providing a loan for investment purposes. It provides an initial ‘cash-back’ facility, the prospect of an annual income stream, the opportunity to diversify between asset classes, the prospect of long term capital growth through a diversified investment portfolio and, depending on your personal circumstances, tax planning opportunities. Most importantly, as far as we are concerned, the investments acceptable to us each have a 100% capital guarantee from highly rated, large European banks at the end of 10 years. CreditSelect Series 4 is available to both residents, whose who live in Spain for longer than 183 days per annum, and non-residents and in keeping with Rothschild’s cautious and conservative approach has been designed to ensure that you are not exposed to unnecessary risks which, when considering that the product involves registering a mortgage over your Spanish home, we regard to be crucially important. There are no upper age limit restrictions or documentary proof of income required, although we do consider income and asset levels as part of our underwriting process. It is available where a property is owned by a company, as well as by individuals, and all paperwork and documentation is streamlined and standardised to make the application and completion process as smooth as possible. In simple terms, it works by arranging a loan secured by a mortgage over your Spanish home with the loan proceeds being invested in a 100% capital guaranteed investment fund that matures after 10 years. Since the investment fund does not actually pay income throughout its 10 year period, we are happy for interest on the loan to roll-up and at the end of this period, the principal loan amount (ie. excluding any initial cash-back, rolled-up interest, capitalised fees and annual loan drawdowns that we permit to provide an ‘income’ stream) is repaid from the maturing investment. Of course, the investment funds are designed to return greater sums that the minimum guarantees and the aim is that the maturing investment fund will exceed the total loan balance, including all of the items listed above. As Rothschild is neither an investment nor tax adviser in this regard, we distribute the product via a network of financial advisers based predominantly in Spain and, should you wish, I would be pleased to provide you with a list of such advisers, with whom we are comfortable in dealing, in order that you can make direct contact. Like your Spanish property, CreditSelect Series 4 loans are denominated in Euros, as is the investment, thus ensuring that you are not exposed to any unnecessary exchange rate risks. We lend up to 75% of the property’s current market value which, from the point of view of Spanish inheritance tax planning (something that, regrettably, is often overlooked by not only purchasers but also estate agents, property developers, and even Spanish lawyers and notaries), is considered to be adequate given the tax rate tapering effect, valuation methods acceptable to the Spanish authorities, and the interest roll-up feature of our facility. Our loans start from €200,000 with effectively no upper maximum, meaning that the product is available to owners of residential property valued at €270,000 or more. With a CreditSelect Series 4 mortgage, you can take up to 5% of the property’s market value as initial capital or equity release and each year we compare how the investment fund has performed over the previous 12 months to the interest rate charged on the loan and permit an additional loan drawdown representing the surplus investment return, capped at 3% of the investment fund value. Since this is structured as a loan drawdown rather than as a withdrawal from the investment fund, it is not classified as income and hence is not liable to income tax assessment. Depending on your personal circumstances, this may also be beneficial to you. In summary, CreditSelect Series 4 is not designed to be the most aggressive and risky product in the marketplace, in fact quite the opposite – we aim to help our clients in a conservative, cautious and well-structured manner without exposing them to undue risk. I am enclosing a copy of our term sheet, which sets out the facility’s terms for non-residents in more detail, together with a copy of an article I wrote earlier this year on some of the tax rules in Spain, which you may also find of interest.